Just wondering if anyone has seen a Lynx 2 with an RF shield that covers the entire underside of the Lynx? I want to recap the board and install a McWill screen, but I can't see how to remove the shield without taking cartridge slot off (which I don't want to do, even if I could). 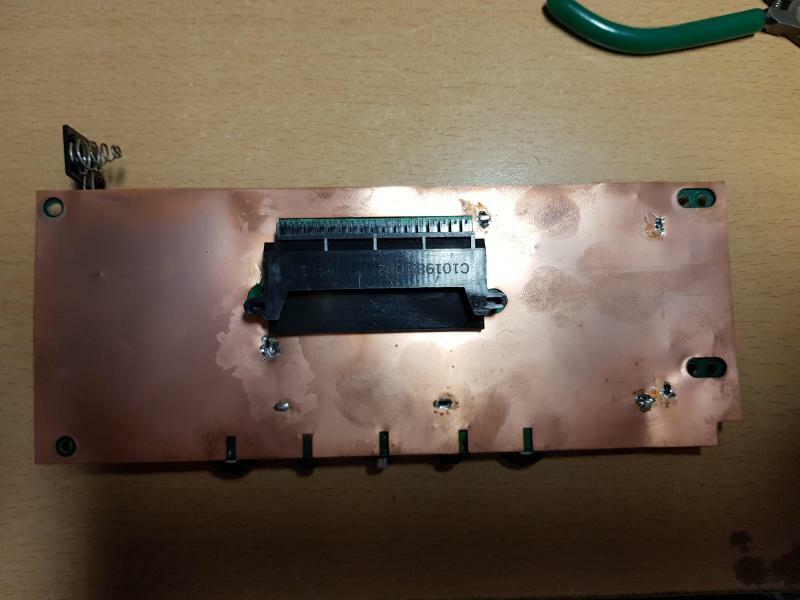 It won't just lift off once unsoldered, as the legs of the cartridge slot prevent this. Would it be okay to just cut the shield? Edited by Bagpuss, Tue Mar 12, 2019 12:56 PM. Yes, I’ve seen a few. Yeap..I did a recap and McWill on of these not that long ago. You have to remove all the solder from it and that will at least allow you to lift it up as needed to get the solder points underneath it. For the McWill installation I cut away that shielding around the connector pins to expose that so it wouldn't be an issue. What is the part number on the board?